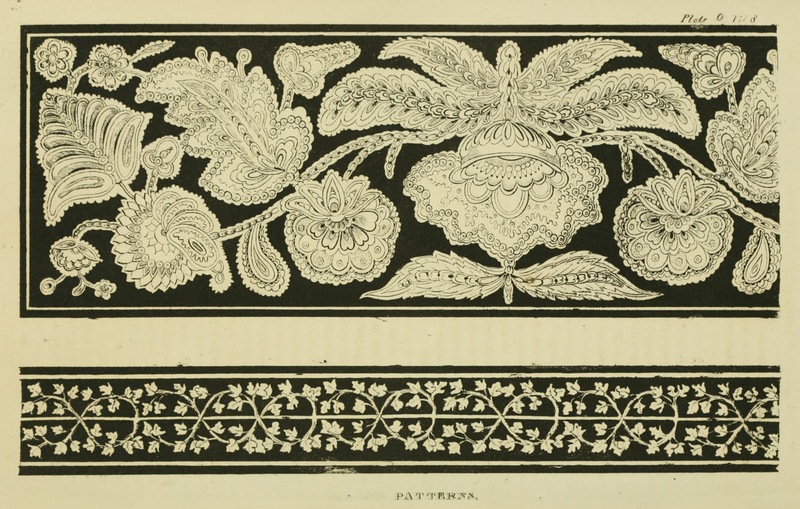 Ackermann's Repository printed over 160 Needlework Patterns from 1811 - 1828 in its monthly publications; due to the fact that embroidery work was a popular pastime for the genteel ladies of the day. 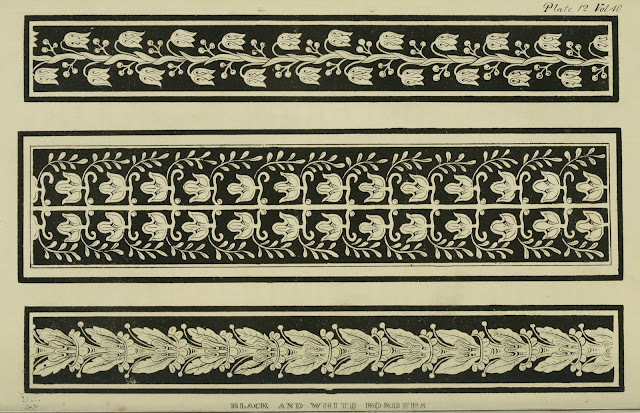 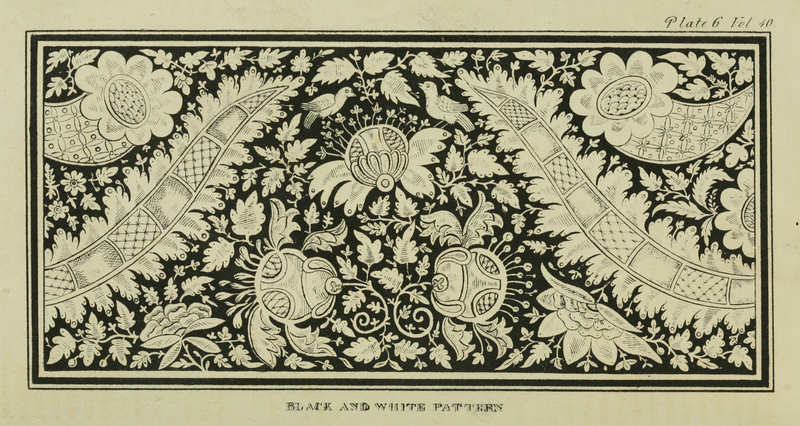 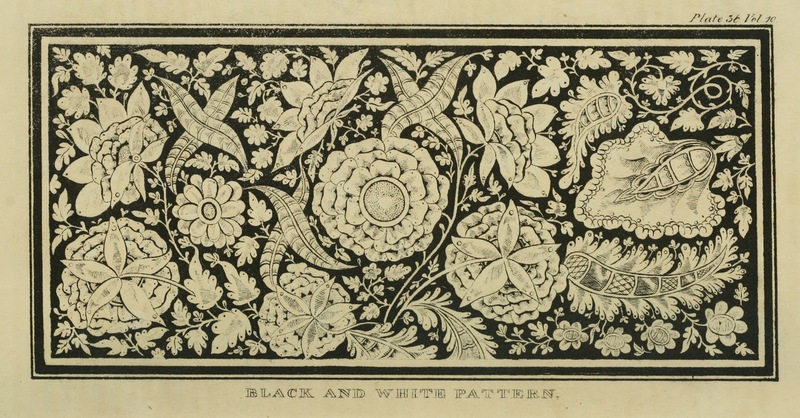 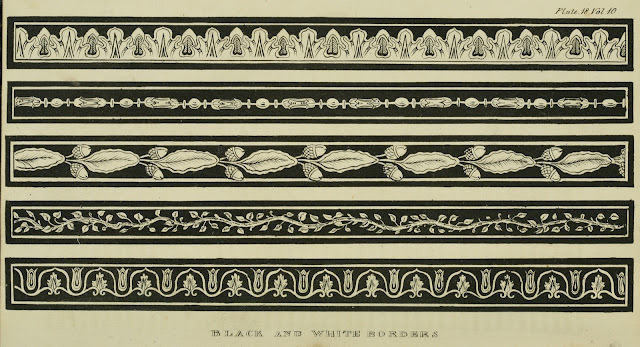 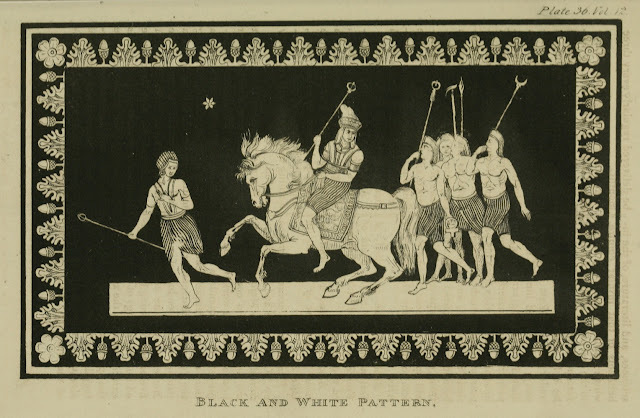 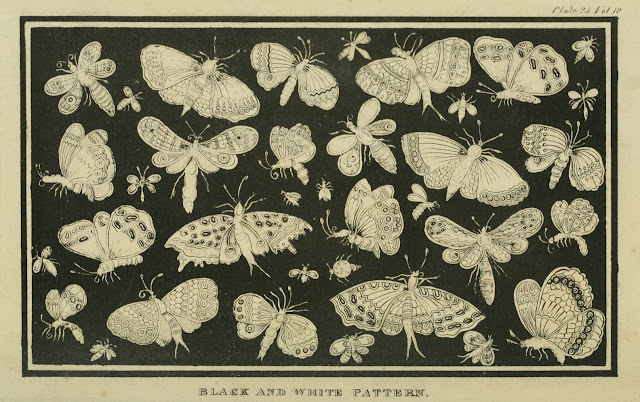 Ackermann's also printed decorative patterns on occasion between the dates of 1816 and 1822 in lieu of the embroidery patterns for a change of pace. 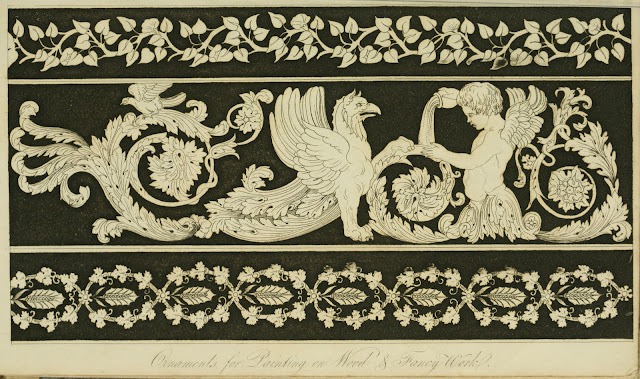 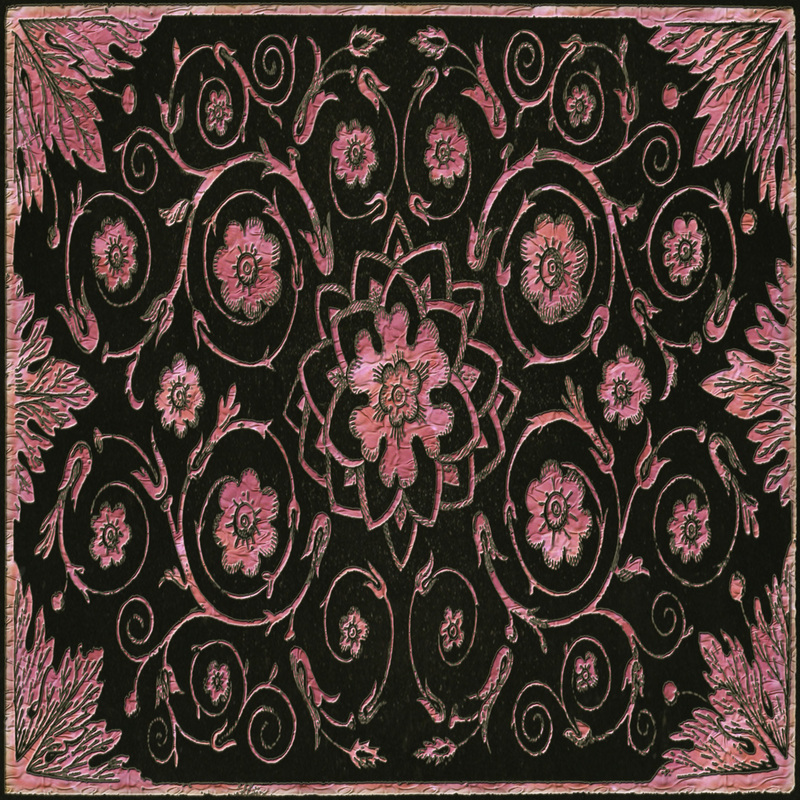 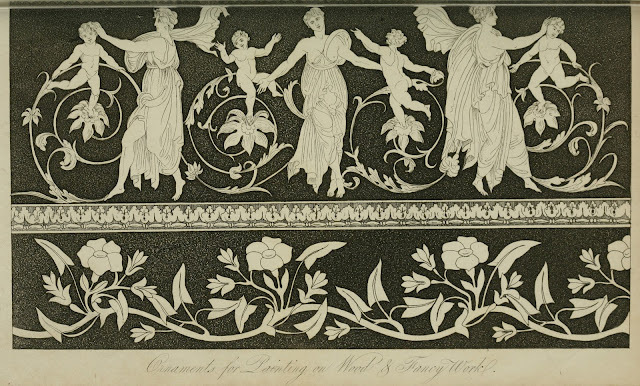 They started by printing 1 in 1816 and increased to as many as 8 in 1820; however the needlework patterns far suppressed and outlasted the popularity of the lesser known decorative patterns and by 1822 they only printed patterns for needlework. 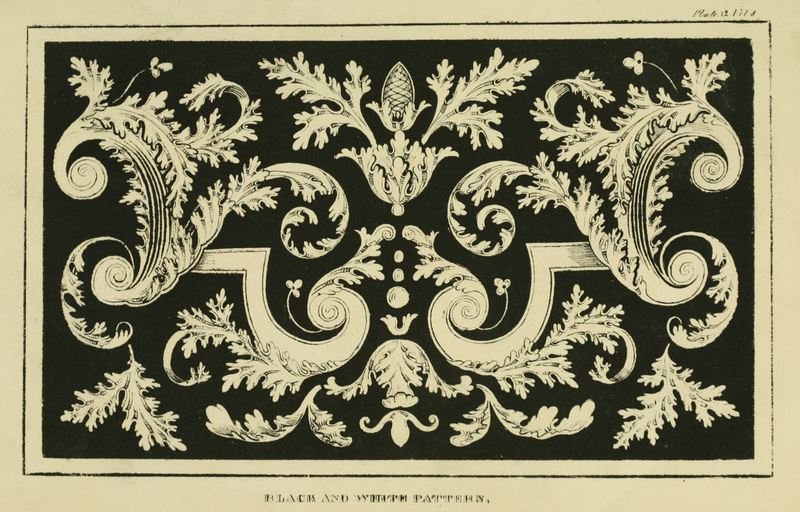 Unfortunately, Ackermann's did not print much in the way of information or instruction on how these patterns were to be used. 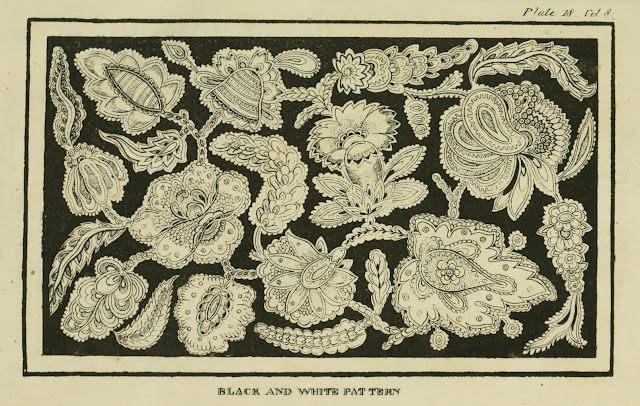 Either the ladies of the day would automatically know what to use them for or they were just pretty patterns to be used at will for those interested. 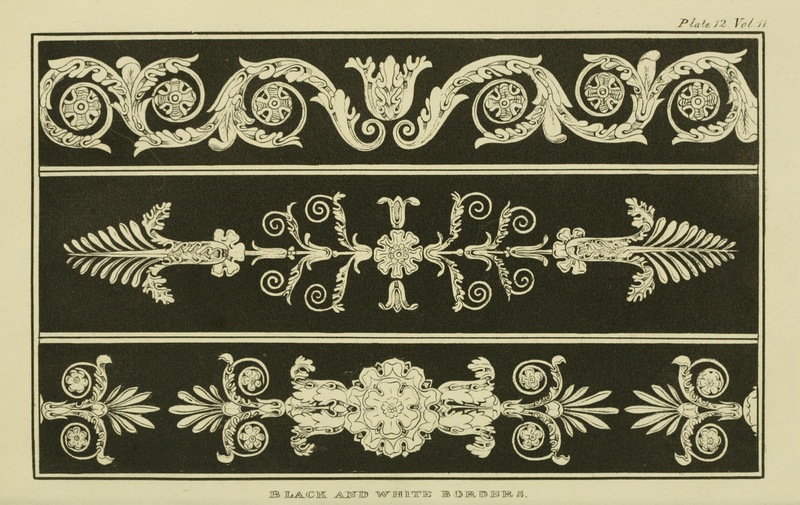 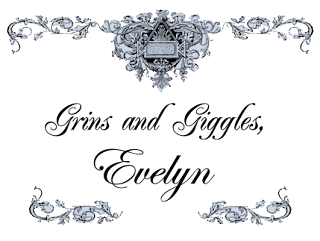 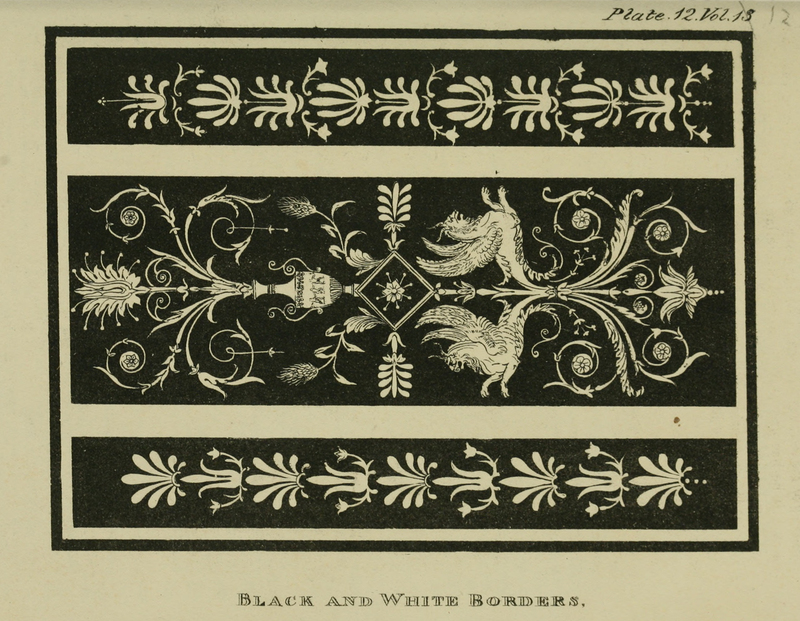 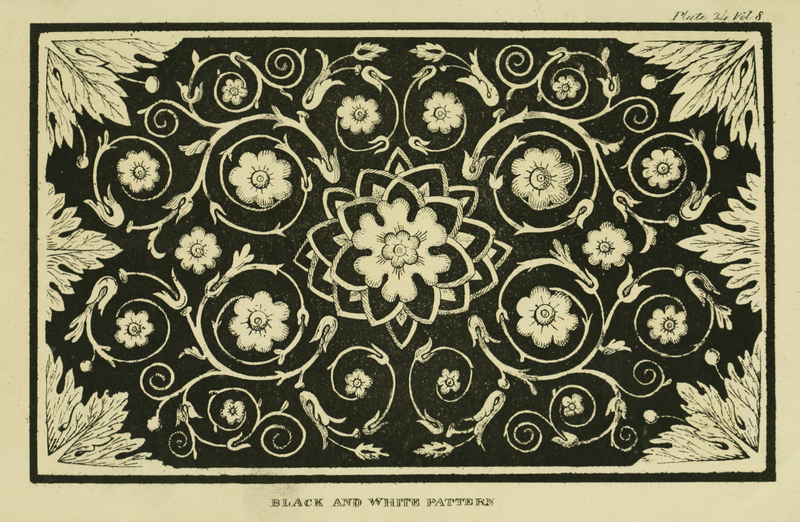 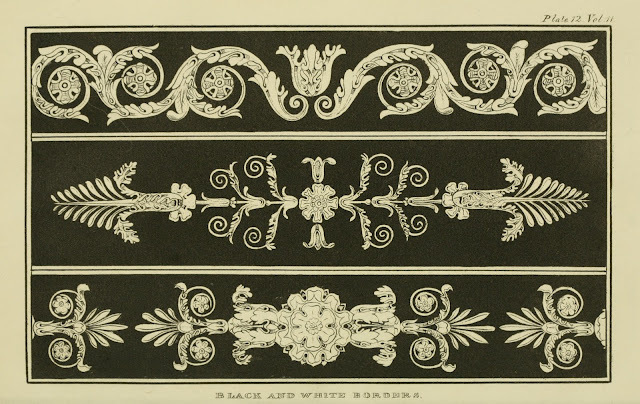 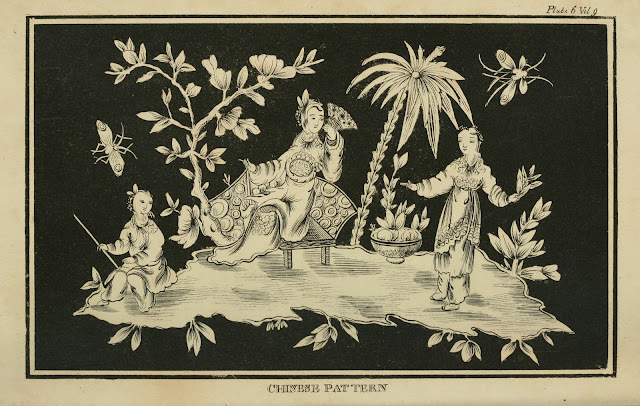 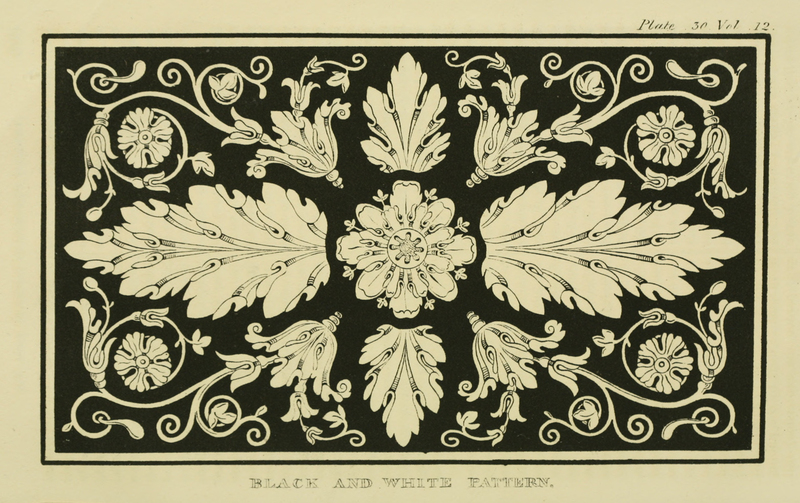 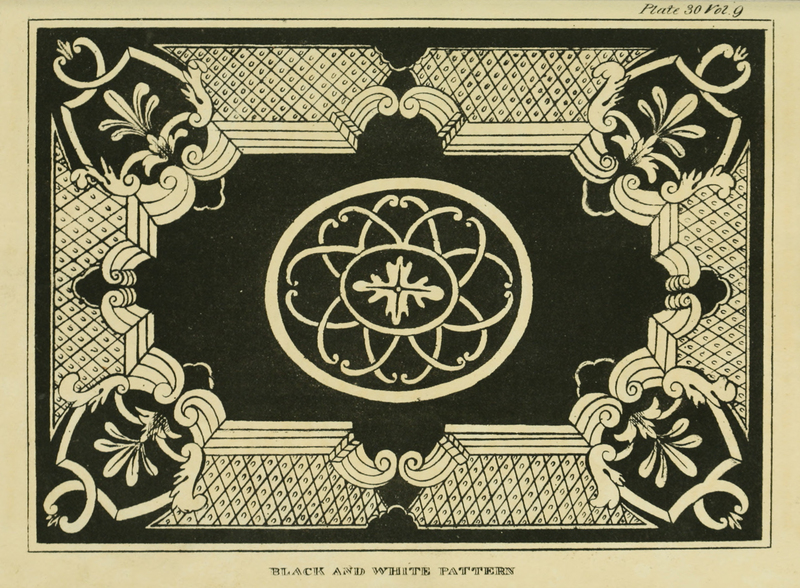 A few of the decorative plates state they are for painted designs and the table of contents for several of the issues list Black and White Patterns for Inlaid Work or Ornamental Pattern. 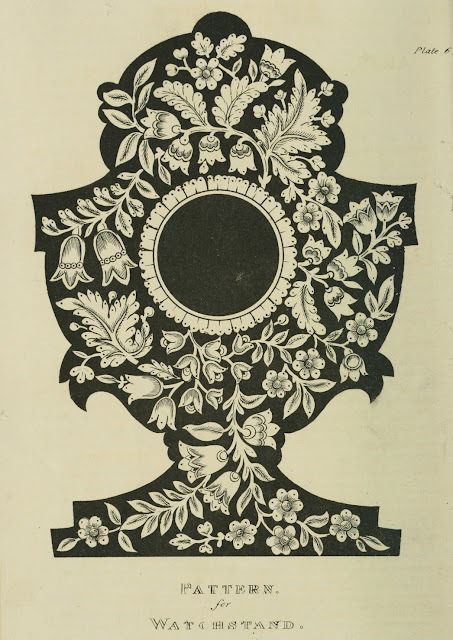 versus over 160 Needlework Patterns that were published in those same issues. 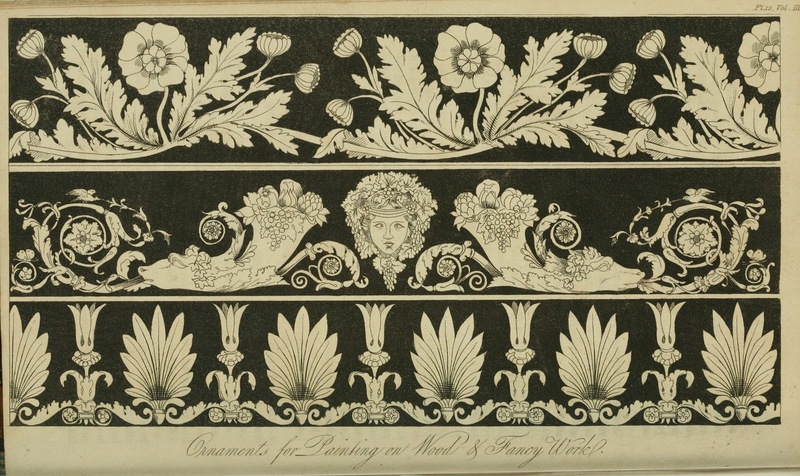 This just goes to show how popular embroidery was over other creative pursuits. 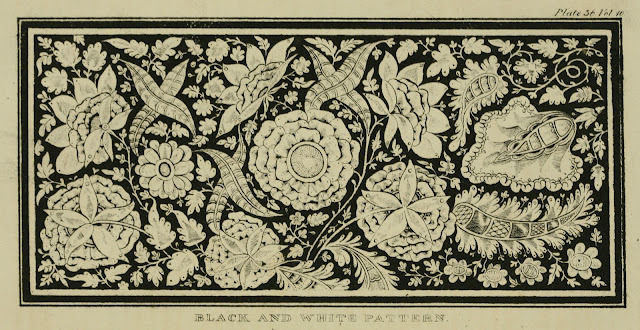 None the less these bold patterns are quite striking and I will be using them to create some fun digital art in the near future, so I hope you enjoy having them available for your creative use as well. One of the things I like to do with decorative patterns such as these; is to create digital scrapbooking background papers. 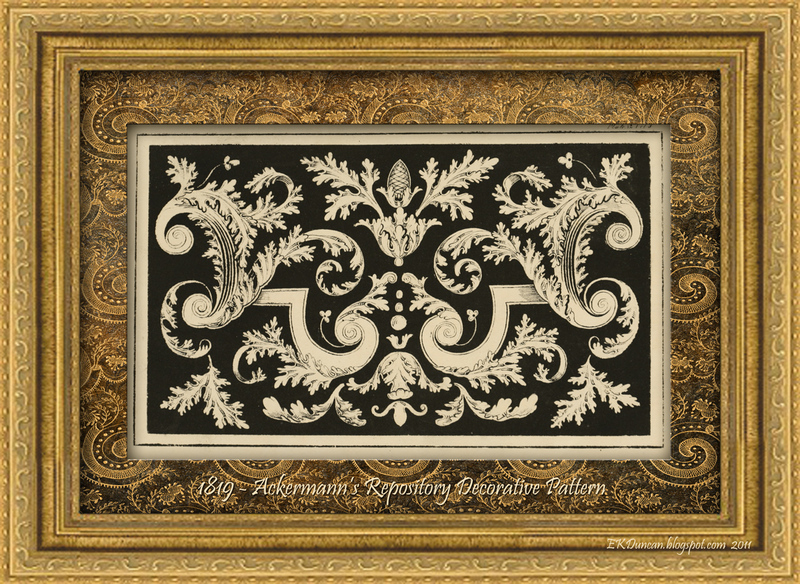 To show an example; I took the September 1819 design, stretched it in Photoshop and then played around with some blending modes and styles to create a background paper. This is my updated twist on an antique pattern. I'm sure the original artist would be amazed at what modern technology is like and that his/her pattern has found a new life nearly 200 years later. Click HERE To see a few other digital background creations using vintage Ackermann's patterns. for a new Ackermann's Repository adventure in the near future.